The government is struggling to contain fraud and waste throughout the health care system and Medicare is especially vulnerable to abuse, according to a House Energy and Commerce subcommittee hearing Wednesday. 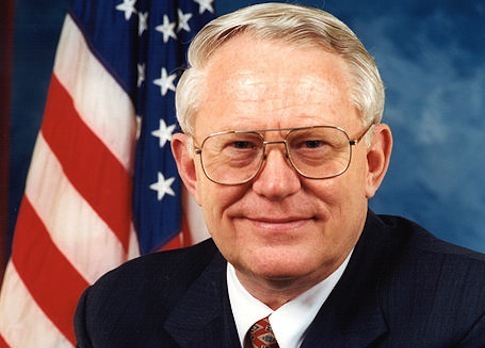 The Medicare system loses an "estimated $60 million annually" to fraud, abuse, and waste, said Health Subcommittee chairman Rep. Joe Pitts (R., Pa.) in his opening remarks. "There’s a broad spectrum of fraud that’s committed," testified Kathleen King, health care director for the Government Accountability Office. She said that fraud could consist of providers billing for unneeded services or individuals selling their beneficiary numbers in kickback schemes, but also that it is difficult to know the full extent of the loss. "Lots of fraud goes undetected," she said. The losses are an especially acute problem as Medicare is projected to run out of money within the next decade or so, several members of Congress pointed out. "Let’s face it, our Medicare will go bankrupt, depending on who you talk to, between 2017 and 2024," said Rep. Phil Gingrey (R., Ga.) in his opening statement. Rep. Michael Burgess (R., Texas) said preventing waste should be a "bipartisan issue," a sentiment with which ranking member Henry Waxman (D., Calif.) agreed. "I see fighting fraud as a critical need—and an issue where we should be able to achieve bipartisan consensus," Waxman said. Seven witnesses testified to different aspects of fraud prevention. The testimony and subsequent questioning focused in part on the possibility of a secure identification system for Medicare beneficiaries called smart cards. "Twenty million Department of Defense individuals use this system" of secure ID, said Rep. John Shimkus (R., Ill.). "This is not new technology." Neville Pattinson testified on behalf of the Secure ID Coalition. He was a strong proponent of smart cards throughout the testimony but support for the technology was not unanimous among the witnesses. "Smart cards authenticate smart cards, not people," said Kevin Fu, a professor of computer science at the University of Massachusetts Amherst. He gave several examples of countries where smart card implementation was incomplete or ineffective at stopping fraud. He said that 15 years after implementation in France people still share smart cards and many health care providers do not have readers. "There is no silver bullet for preventing healthcare fraud," said Louis Saccoccio, CEO for the National Health Care Anti-Fraud Association. He urged greater coordination between organizations and agencies to fight fraud, as fraudsters like to jump between providers. Dan Olson, director of fraud prevention at Health Information Designs, called for a "multidimensional tool set" for fighting fraud. The members took partisan shots sporadically throughout the hearing despite the larger bipartisan agreement on the need to fight abuse. "One of the reasons I am so proud of the Affordable Care Act is that it contains dozens of anti-fraud provisions," Waxman said in his opening statement. "The legislation has the most important reforms to prevent Medicare and Medicaid fraud in a generation—and already they are yielding results." Burgess and Gingrey questioned the effectiveness of the controversial healthcare overhaul and the reality of its present implementation. Gingrey pointed out that, of the eight new anti-fraud tools that Obamacare gave the Center for Medicare and Medicaid Services (CMS), only one has been implemented. "If this administration has the authority to implement changes within the Medicare program that can prevent billions—billions—of lost funds annually and is not using them, I believe, Mr. Chairman, that the administration owes us an account of the reasons why after two years seven out of eight provisions have not been enacted," he said. Burgess pressed King on the effectiveness of CMS’s fraud prevention program and wondered why the government could not have an instantaneous fraud detection program similar to credit card company Visa. He argued the state exchanges created in Obamacare create "an entire new dimension for fraud." He also noted that, under new accounting rules in Obamacare, companies will be effectively penalized for preventing fraud. "In an odd way, the Affordable Care Act is creating new opportunities for fraud and penalizing you if you" seek to stop fraud, he said. "We’re just a few months away from the Elysian Fields of the Affordable Care Act, when everyone’s going to have everything they ever wanted," quipped Burgess at one point. "It is a recipe for fiscal disaster," he said. This entry was posted in Politics and tagged Congress, Henry Waxman. Bookmark the permalink.